Shopping is something most people love. But often the thrill, excitement, and absorption becomes such that an ordinary hobby or time filler becomes an addiction. A shopping addiction like drugs, alcohol, or gambling is a blinding thirst where the shopper is unable to see essential from non essential and over spend. They shop until they drop and run into debt spending on their credit cards up to and over its limit. Shopping for many is escapism from the realities of life and its accompanying problems. It is but a temporary reprieve from depression, anxiety, or loneliness. What a shopper never understands is it is a false world which will not grant happiness or love, or self esteem. After the shopping binge the person will experience remorse. The unhappiness will intensify due to unmanageable financial disaster and debt. This will be further compounded by the displeasure earned from family members or financial consultants. Believe me over 80% of the purchases will never be used. An addict may have a hundred pairs of shoes, or bags, or coast, or glassesthe obsession being restricted to one kind of object. Like alcoholics, compulsive shoppers go on binges when they are upset, lonely, depressed, or feeling out of sorts. Shopping is a ‘pick me up,’ a temporary euphoria that lifts their spirits. The possible repair of finances and cure of the addiction is possible only if the shopper accepts that an addiction exists. What helps is professional counseling and joining a self-healing group that is dealing with this addiction. A shopping addicts version or equivalent of alcoholics anonymous. First and foremost set small limits on all credit cards. Freezing the limits will help you limit your spending power. Lock away all credit and debit cards. Budget household and other expenses. Make specific envelopes and mark them clearly for what the money is earmarked for. Sit with a family member or friend and make a list of bare essentials. Go shopping with a controlling companion one who will say ‘NO’ is no uncertain terms. Never visit sales or discount warehouses. Or, watch television shopping channels. Do not subscribe to shopping catalogues. Fill your day choc-a-bloc with activities. If you have no time to ‘stand and stare’ you won’t have a moment to think about shopping. Find interesting activities that absorb your interests and time. Go to the mall or shopper’s paradise after they are all safely closed for the day. This way you can look at displays without being tempted to rush in and buy something. If you feel the itch or urge to shop, resist it with all your strength and go out for a walk or to the gym exercise until you are too tired to do anything else. Pay for all purchases by cash or cheque. Use a card only in emergencies. Compulsive shopping is a serious addiction. It is escapism from realities and unhappiness. 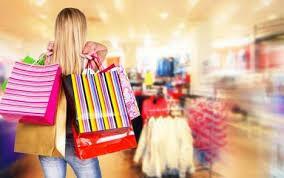 As serious as drug addictions and an illness, a compulsive shopper needs treatment that is similar to other addictions. Addictions of any kind need to be snipped at the very root before it reaches a point of no return.